South Korea and the United States will have another round of negotiations next week on sharing the cost of maintaining American troops in Korea, Seoul's foreign ministry said Thursday. The allies plan to hold the fourth session of the 10th Special Measures Agreement talks in Seoul on Tuesday and Wednesday. The previous ones took place in Honolulu in March, on Jeju Island in April and in Washington DC last month. The two sides plan to have "in-depth consultations" to fine-tune their positions on the basis of discussions in the previous talks, the ministry said. South Korea has shared the financial burden for US Forces Korea , currently composed of around 28,500 service members, since the early 1990s. 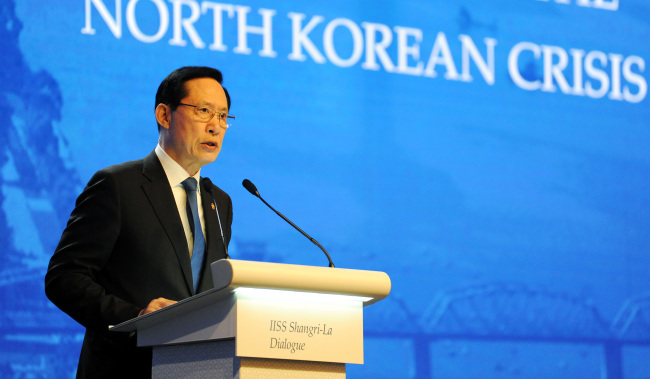 Seoul's contribution has increased to around 960 billion won ($866 million) in 2018 under the latest five-year accord from 150 billion won in 1991, officials said.